The President submitted his recommendation to the Federation Council, chair of the Federation Council's constitutional legislation committee Andrei Klishas told RIA Novosti. Chaika's reappointment is likely to be officially considered during a meeting of the Federation Council on 25 May, a RIA Novosti source said earlier on Monday. Chaka has served as Prosecutor General since 2006 and his current term expires on June 22. According to current legislation, the decision regarding the appointment of the Prosecutor General is made by the Federal Council upon the recommendation of the President. A source at the RBC newspaper claimed last week that the decision to reappoint Chaika had already been taken. A source in the Federal Security Service (FSB) said that consultations on Chaika's candidacy had been ongoing till “the very last moment” due to his long tenure in the post. “Even the President can not be elected more than twice in a row. Chaika is in the running for his third term and could be heading the Prosecutor General's Office for 15 years altogether,” the unnamed source told reporters. 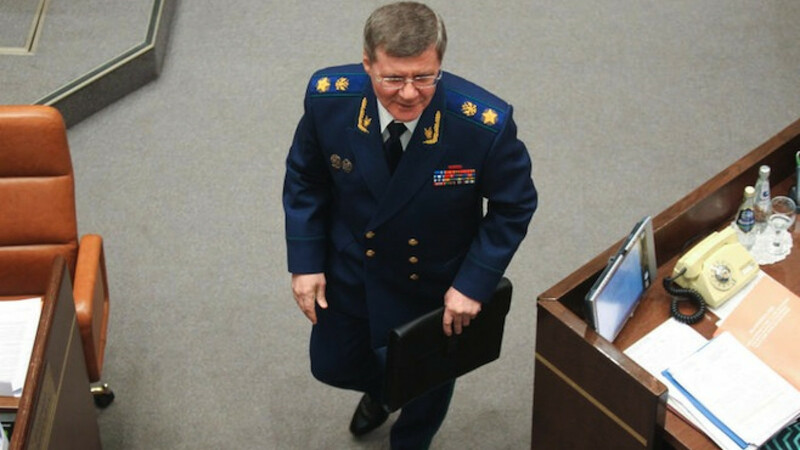 Chaika's main competitor in the fight for the post until recently has been Deputy Interior Minister Alexander Savenkov, who oversees the Investigation department Ministry of Internal Affairs, RBC reported. In December last year, opposition activist Alexei Navalny published an investigation exposing large-scale corruption and criminal activities involving Chaika's family members, including his two sons Artyom and Igor. The 43-minute video investigation released on Youtube evoked great interest from the public and none from the Kremlin. Chaika himself called the allegations false and accused British-American investor William Browder and U.S. secret services of being behind the investigation.